Reflecting the growing importance of domestic labor market institution on FDI flow, many theoretical attempts have been conducted on the role of domestic labor market institution such as labor union’s bargaining power and unions’ relative preferences toward wages, as potential influences on the direction of FDI flow (Smith, Eur Econ Rev 31:89–96, 1987; Horstmann and Markusen, Int Econ Rev 28:109–121, 1987; Mezzetti and Dinopoulos, J Int Econ 31:79–100, 1991; Bughin and Vannini, Int J Indus Organ 13:127–145, 1995; Straume, Int J Indus Organ 20:631–652, 2002; Naylor and Santoni, J Int Trade Econ Dev 12:1–18, 2003; Lommerud et al., Econ J 113:782–800, 2003; Hur and Zhao, J Econ Behav Organ 71:259–272, 2009; Lee and Lee, Econ Model 54:479–489, 2016). 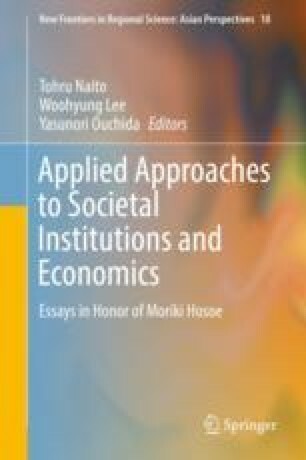 It should be noted that since the above studies on strategic FDI incorporating domestic labor market institution, which normally uses international unionized oligopoly model, were limited to a simple two-country model, they could NOT appropriately capture more complexed FDI mode of these days. A prominent example of such complex FDI is the export-platform FDI. In this paper, we construct a locational model of unionized oligopoly, where export and export-platform FDI are alternative modes for serving a third-country market, and examine welfare effects of outward FDI induced by union activities. More specifically, by assuming that the government has the power to affect the bargaining power of the union through the legislation, we derive the optimal level of labor standard from the viewpoint of FDI source country. This research was supported by the National Research Foundation of Korea Grant funded by the Korean government (NRF-2014S1A3A2044643).